Change is coming whether the BBC likes it or not. Far better to take the intiative itself: for instance, making good on a real BBC Scotland. The BBC is one of the key institutions of Scotland and the UK. It arouses passion in many forms: identification, reverence for some of its past glories, fury at current and historic shortcomings. These can come from anywhere on the political spectrum. In Scotland, many views of the broadcaster have become interwoven with how it covered the independence referendum. No one really thinks the BBC had a good campaign. This unleashed allegations of bias, demonstrations at the BBC, and a sparring match between Alex Salmond and the BBC’s former political editor Nick Robinson. All this has left a BBC shaken, stirred, and unsure which way to turn, while a large section of Scotland feels short changed and wants reform. To understand and address these feelings we need to see the referendum and its aftermath as part of a much bigger picture. The BBC and BBC Scotland come from, and to this day are rooted in, a very different UK and Scotland. The BBC’s origins in the 1920s were as a patrician, elite-driven organisation whose motto – "Nation shall speak peace unto nation", adopted in 1927 – showed that it saw itself as benignly speaking down to the world, at home and abroad, and enlightening it. It was also clear that "the nation" in question was Britain, with Scotland, Wales and Northern Ireland seen as mere regions or outposts. Who put the ‘Scotland’ in ‘BBC Scotland’? For the first 40 years, there was no such thing as "BBC Scotland". Instead there was a unified BBC who broadcast in Scotland. Change came on January 1, 1968, when the newly appointed controller, Alasdair Milne, later to be director general of the entire corporation, made the mistake on the first day of his new job. Finding nearly the entire BBC Scottish staff absent, having forgotten that New Year’s Day was a public holiday, he set about working out what he could do. That turned out to be deciding to change the lettering on the front of the building from "BBC" to "BBC Scotland". Thus, BBC Scotland was born: a change that amounted simply to altering the name on the shop window. Nothing else was altered in terms of who called the shots, as subsequent years have shown. Fast forward to today. One version of future broadcasting recently emerged with the proposals of the Charter Renewal team in BBC Scotland, backed by director, Ken MacQuarrie. Scotland would get a budget of £150 million – a significant increase on what is currently really spent on Scotland and Scottish programmes (which is estimated by observers to be as low as £30 million). There would be complete devolution, a new Scottish BBC HD channel and a second Radio Scotland channel. Alongside this there would be a major investment programme across public life – in the arts and culture, comedy, entertainment, and music. All of this was agreed by the heads of the BBC in London. It sounds too good to be true doesn’t it? What is the catch? It turns out that after initial agreement was reached, director general Tony Hall, under pressure from other senior London BBC figures anxious about seeing their empires diminished and divided, backtracked, and the proposals are not being progressed. Yet, this is the sort of bold and belated step the BBC and Scottish media need. The current situation is one of slow decline towards irrelevance. One insider put it that "BBC Scotland is a fiction. In a real sense it doesn’t actually exist". This has parallels with the Scottish Labour Party – in that clearly there is an entity operating in the here and now called BBC Scotland. But what it touches upon is how it operates, its autonomy and who is it answerable to, in the same way that causes problems for Scottish Labour. In short, who is BBC Scotland really accountable to? In what way is it answerable to the people of Scotland? The answer is that, directly, it isn’t - in any sense. BBC Scotland is formally accountable to the BBC in London, and the only way it can be held to account here is via the indirect route of speaking to London. Accountability is one of the big challenges. But that has to address how to answer Scottish concerns without getting into hands-on political management. How does BBC Scotland do that without becoming a plaything of politicians in the Scottish Parliament? Could there be a role for a Scottish Ofcom as a regulator with a hands-off relationship with politicians? 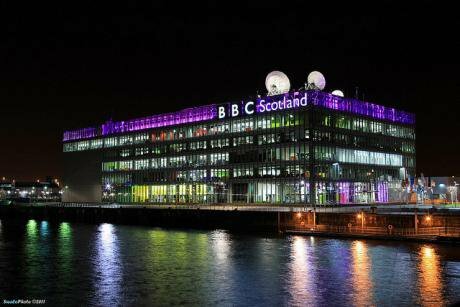 Internally, BBC Scotland needs top-to-bottom transformation. It isn’t an organisation with a pride, a burning mission to do great things, to connect, to educate, to entertain, and enter into a conversation with the people of this nation. A first step is a different kind of leadership. All the controllers who have headed it up in Scotland have had qualities, but the clue to the limited nature of the post is in the title. It is a manager of a branch office. Alasdair Milne daringly retitled the organisation. Alastair Hetherington in the 1970s attempted to take more decisions in Scotland and was quickly shown the door by London. What's required is an entirely different culture – and that's the sort of thing which doesn’t happen overnight. But if BBC Scotland is to become a more autonomous Scottish body it needs internal change – with leaders who lead and communicate inside and outside the Beeb, who take staff and the public with them and who listen, engage and adapt. A big move culturally and resource-wise would be to value and invest in proper and good journalism. There is a perception that the organisation hasn’t done so for years. One BBC staffer commented that the whole organisation is riddled with "a potent feeling of inferiorism [with] people feeling undervalued and demoralised for years". There are human resource issues in this. There was the long-running saga of the BBC head of news and current affairs John Boothman and allegations of an inappropriate working culture which came to a head this summer when Boothman had an official grievance upheld against him after he was taped making offensive remarks about a camerawoman. Such occurrences don’t happen out of nowhere, but in a culture where staff feel devalued and those who get on are those who don’t ask questions and do the management's bidding. A crucial area is content and programming. When did BBC Scotland last make a daring, evocative series in the last 25 years? There was the award-winning A History Of Scotland with Neil Oliver. In drama, the cupboard has been bare since the 1980s, and there has been no equivalent of the popular, and acclaimed at their height, STV Taggart or Rebus. Filmmaker Eleanor Yule, co-author of a study of what she has termed "cultural miserablism", thinks that there is a national problem, and a specific BBC one. Partly this is about the increasingly worn-out archetypes used in what might be termed the Peter Mullan school of drama: walking-wounded men, run-down estates and towns, and lots of violence. But there are also questions about who the cultural commissioners and gatekeepers are in a small country and, with a lack of ambition and money at STV, the BBC having an effective veto on ideas. All this is coming to the surface at an enormously difficult time for the BBC. The Charter Review is underway on the BBC’s future, numerous Tories and right-wingers are out to cut the Beeb down to size, believing it is biased against them. Chancellor George Osborne talked of the BBC being "imperial in its ambitions", in the way its website crowded out competitors. Then there are the forthcoming cuts in funding, coming on top of a previous round. The BBC volunteered to pay for free TV licences for the over-75s. That’s after director general Tony Hall seemed to suggest this could lead to the potential closure of BBC2 and BBC4 along with BBC Scotland, Wales and Northern Ireland to fund this. This was an attempt to show that continual cuts have consequences, but it was hardly a ringing endorsement of a diverse Britain. Previous palliatives are now past their sell-by date. A ‘Scottish Six’ – an integrated Scottish news service offering Scottish, UK and international news in one package – was blocked by BBC head John Birt and Tony Blair in 1997-98. Then came a decade of sticking plasters: first, Newsnight Scotland and the ridiculous opt-out in the middle of the UK Newsnight, then, Scotland 2015, which was launched with next to no preparation or proper pilot. Much of this has been brought to a head by politics and the independence referendum, but it is about so much more. The crisis of BBC Scotland’s legitimacy and its lack of a democratic mandate in the country cannot be solved by just more news and current affairs programmes. And certainly not by sops such as more football and more Scotland internationals on TV. BBC Scotland, like the big BBC, has always travelled behind the curve and the nation. It has reflected back to us a set of images that are already in the past, and in many cases, that we have outgrown or find embarrassing. It has continually had a default setting to the status quo along with caution – which was on display in the referendum. It took until 1978 to set up BBC Radio Scotland, when the first devolution debate was taking place. The BBC waited until the end of a near decade-long controversy to act, and when it did it produced something which many thought better suited to 1950s Scotland. The writer Neal Ascherson at the time commented on the pale menu of "Radio Kailyard", which the new channel was serving up. A decade later, the arts journalist Catherine Lockerbie called it "the ‘national network’ of a non-nation". What does the future hold? The current situation is unsustainable. The status quo, which is still being clung to by BBC senior executives in London and parts of Scotland, is going to go. Better to embrace that and start thinking about change and new models now. It is not just Scotland changing; Britain and the world are shifting. The way people consume media is in major transition. We are moving to a more fragmented, competitive, multi-platform environment. This is reinforced by huge demographic moves with people – particularly those aged under-30 – using media in very different ways from previous generations, being less reliant on traditional media formats. One big challenge in the landscape of tomorrow will be how to pay for good media. People want good quality journalism and they want branded journalism that they feel they can trust. Public service broadcasting does not have to remain static or exist in its present format. The BBC could evolve into a hybrid: part based on some kind of universal fee, part based on an element of choice such as subscription. There is a debate which needs to be had if the BBC has a future here and across the UK. This evolution requires a mix of radicalism and subtleness. It requires that the Nationalists play an astute game to avoid knocking the BBC down but to aid it become something very different. One observer of SNP thinking on broadcasting described their position as, "the SNP want to make BBC Scotland real”. That’s clearly not how Nicola Sturgeon and certainly not Alex Salmond would articulate it, but it does capture the canny tone adopted by the First Minister in last week’s Alternative MacTaggart Lecture at the Edinburgh International Television Festival. Nicola Sturgeon is out to pursue a game of persuasion to achieve the goals of a dedicated Scottish TV channel and second radio station – goals remarkably close to the BBC Charter Renewal proposals which have stalled. Change is coming to the media and to how Britain sees itself. The media of the future will be very different to the one most people have grown up with. There will be new providers of content, independent producers, and consumers who want to enjoy their media in a variety of ways: on the move on their mobile, on tablet, and on their computer. Tony Hall might like to proclaim that BBC stands for “British, bold and creative” in his major address this week, but with the exception of the first quality, the other two are only delivered patchily, and are almost non-existent north of the border. In so many areas in recent years, the BBC post-Greg Dyke, has been headed by a leadership which is apologetic, bows to political pressure, and is unwilling and unable to make anew the case for the BBC and public service broadcasting. That has cost it dearly, and there is little sign it is going to change in the near-future. After several false starts and hesitations, the BBC now needs to show boldness and a dramatic vision of the future. The recent Charter Renewal proposals for a devolved BBC Scotland are one option. They have to form part of a wider debate about the role of broadcasting and the media in Scotland. How do we want to represent our nation to ourselves and the world? How would we like to pay for it? How can we best support Scottish producers, creatives and talent in the media to aid them staying in Scotland and having careers? What is the best way all of this can be accountable to the people of Scotland without politicians having direct control? There is an opportunity in all of this for something innovative and imaginative which remakes the BBC in Scotland as a major stimulus to culture, society, politics, and even more importantly, how we think and see ourselves. That is a rare and precious moment: let’s hope that the BBC does not retreat, as before, into caution, and we get the chance to seize it. Otherwise, change will be forced on the BBC by external pressures, political, commercial, technological and demographic. The question has to be asked: is there the intelligence and boldness in BBC senior ranks to adapt and prosper in the new environment?